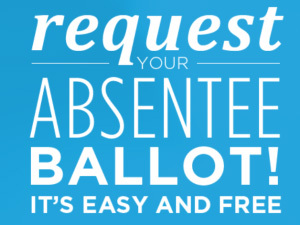 A signed and completed State Absentee Ballot Request Form must be received by the Henderson County Board Of Elections no later than 5:00 p.m. on the last Tuesday prior to the date of the election for which the ballot is being requested. Saturday, November 5 – Early voting period ends at 1 PM for the November General Election. Click here for more information on Henderson County’s Early Voting times and locations. Tuesday, November 8 – 2016 Statewide November General Election. Polls are open from 6:30 am to 7:30 pm in Henderson County and across the state. November 8 is also the deadline for receipt of an absentee ballot by the county board of elections office (or, if you’re mailing it in, clearly postmarked by that day).